While Americans prepared to celebrate their Independence Day and Muslims worldwide began preparations for Eid al-Fitr, the celebration at the end of the month-long fasting holiday of Ramadan, the world was shocked to learn of major suicide bombings in Baghdad, Iraq, and later in Medina, Saudi Arabia. Muslims are honoring the dead on Twitter, trying their hardest to celebrate Eid al-Fitr amid the terror and to make others aware of the gruesome reality they face every day from the looming threat of ISIS, which has taken responsibility for the attacks. Muslims have been speaking out online since the rise of ISIS, asserting that the organization does not represent Islam. With the most recent attacks on Medina (the second-most holy site in Islam after Mecca) and their violent irreverence for human life, beseeching claims for understanding and a desire to denounce ISIS has reached a fever pitch. On Twitter, the hashtags #BaghdadAttacks and the more intense #ISISAttackingMuslims show that Muslims often receive the brunt of ISIS attacks. These hashtags also act as a way to collectively express grief and outrage at these atrocities carried out in the name of their religion. The tweets below contain images and descriptions of violence that may shock and appall. But showing the carnage ISIS causes next to the justified anger of their many, many Muslim detractors is important in light of the Islamophobia which paints all Muslims as terrorists, when in fact, the majority of Muslims despise ISIS. 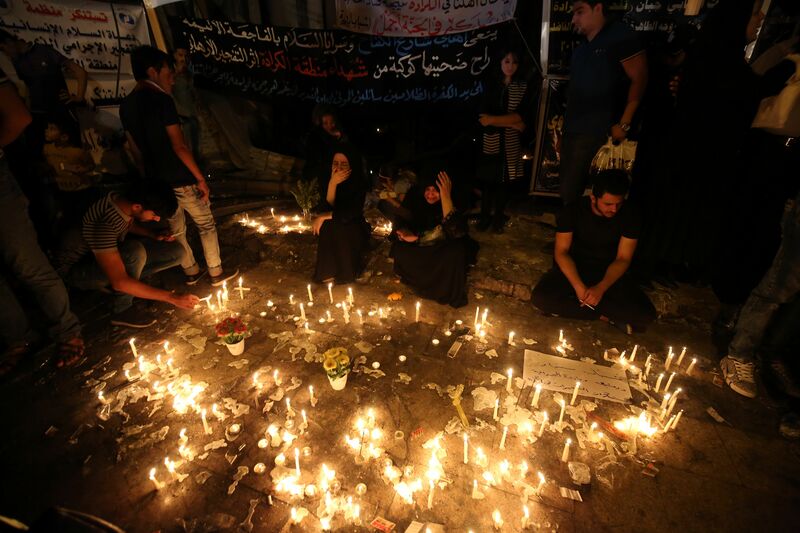 This tear-inducing video, taken on the scene of the attacks in Baghdad, show how some went from preparing for a joyous celebration to mourning after the death toll in Baghdad reached 250. Although the death toll was much lower in Medina, the symbolism of he attack can't be understated. It was very close to the Prophet Muhammad's Mosque, the second-holiest site in Islam, and sent a strong message of terror to those praying there. In spite of ISIS' intentions, people gathered at the site to bear witness to the atrocity and to show that they won't be intimidated. ISIS Members Are "Enemies Of Humanity"
As unfortunate as it is that many Muslims feel compelled to publicly denounce a violent group which perverts their religion, this statement proves how simple the matter is. ISIS has no reverence for humanity, and Islam has no place for them. One of the most heartbreaking images from this spate of mourning tweets shows that the lives of Muslim children (and most other Muslims) don't matter at all to ISIS. As with the photos of those killed in the Orlando massacre, seeing the faces of people killed in these attacks lends humanity to people whom many love to demonize. Seeing the faces of Muslim mourners lit up with candles while grappling with the sheer weight of these attacks is so poignant. As the death toll rises in Baghdad and elsewhere in the Muslim world, many are wondering why no global messages of solidarity for Muslims from Westerners have been issued. There's a Rumi quote for every situation, and the famous Sufi poet's words of peace couldn't be more necessary after these attacks. While Muslims around the world struggle to make sense of these senseless tragedies during their holy month, the rest of the world should take note and stand in solidarity with them as they try to express their faith without fear of terrorism or state sanctions.